We were only in Thailand for 2 weeks and spent our time in relative luxury (well compared to our normal budget travelling accommodation) on the touristy island of Koh Samui. We had both travelled Thailand previously so it was a chance to recharge our batteries and spend time with our family who had come out to see us. 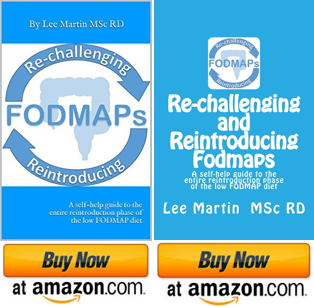 As such this is a brief post to cover a few of the main things to consider when travelling on a low FODMAP diet in Thailand. Apart from the onion and garlic most of the vegetables used are generally low FODMAP with lots of carrots, green beans, eggplant etc. being used. Carbohydrates are rarely a problem as 99% of dishes come with rice or there is the option for rice noodles rather than wheat noodles and potatoes are also found in curries or you can order on the side. Quite often the Thai soups contain a lower amount of FODMAPs than the curries. Thai soups are usually very light and soothing, using flavours such as lemongrass and ginger, rather than being packed with strong flavours like garlic and chilli. A good lowER FODMAP soup is Tom Kha Gai which is chicken coconut soup. This is a classic Thai dish and found everywhere although we did notice some places included mushrooms so check the menu before sitting down and ordering. Be aware the broth to make the soup may contain onion and although traditionally I do not believe garlic and onion are used in this recipe they may well be used by different restaurants! Breakfast is rarely a problem as long as you like eggs although if you cannot tolerate fructans in wheat then you will be missing out on some awesome banana pancakes. Yoghurt and low FODMAP fruit like banana and pineapple are plentiful and often a suitable cereal like cornflakes or oats can be found. Otherwise plain egg fried rice (or noodle) can get you out of trouble and is super cheap. You can get plain grilled fish / meat or steamed fish / meat in banana or pandan leaves at most restaurants for your protien source. Snacking isn’t such a hard task either as there are convenience stores everywhere in Thailand so you can easily get snacks of yoghurt, rice cakes, corn snacks, nuts etc. to carry around. Anyone coming to Thailand will have an amazing time it is a great, and very easy place to travel around with English spoken widely. Like many of the other Asian countries there are some common themed travel tips for low FODMAP travellers, so have a look at our other blog posts from our travelling so far and get some inspiration. Thank you so much for the specific dishes and tips! Do I need to know some Thai or write it down on a card to ask for plain grilled fish / meat or steamed fish / meat in banana or pandan leaves at restaurants? Or are any restaurants menus in English? Thanks so much 🙂 English is widely spoken in Thailand so no need to worry. The menus are in English too. You will have a great time it is a fun country. As someone who lives in Thailand (Bangkok) and working through the elimination phase I just wanted to add some things that might be helpful from my experience. Firstly, English is becoming more popular but it depends where you go. In high traffic tourist areas, English will be higher but often it is limited to them selling specifically what they have to offer. This can mean they will nod and smile to save face but have no idea what you are saying when you ask to change the ingredients. If you are wandering the back streets of Bangkok, they may not know any English so I have included some helpful phrases below. Alternatively you can point to foods if they are laid out and say Mai (no). Also street vendors often add chicken stock to all of their dishes (which is why they taste so good!). Finally there are grocery stores with a growing section of western foods. Villa or Tops market are 2 to look out for. They generally have a wider selection of gluten free foods and other healthy snacks. Larger stores like Big C and Tesco will also stock some.